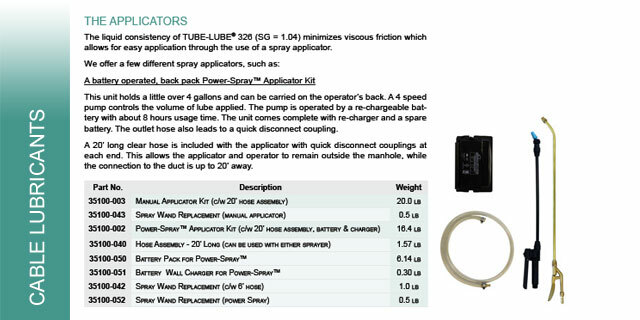 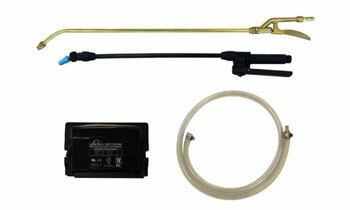 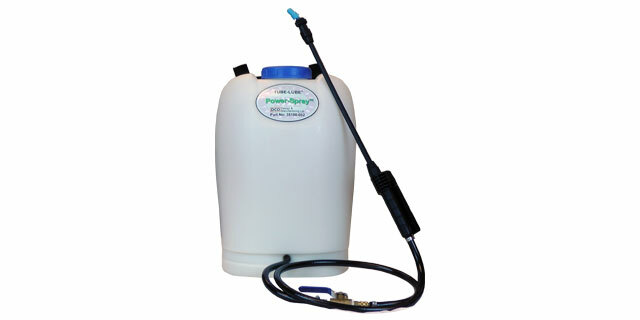 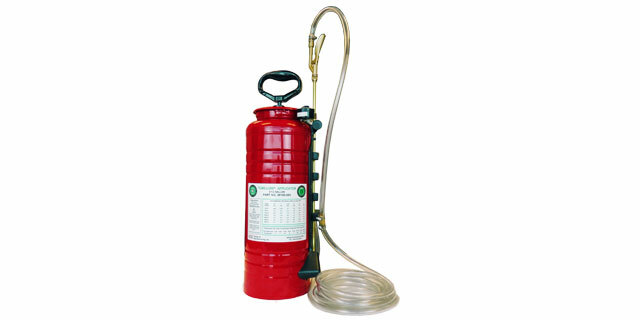 A manually pressurized spray tank with a pressure gauge allows the user to monitor the amount of lube being sprayed onto the cable via the included hand-held wand, or any of DCD’s products fitted with a quick connect spray nozzle. 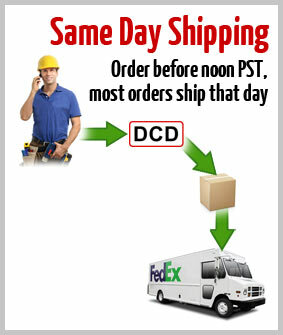 Different pressures allow different volumes. 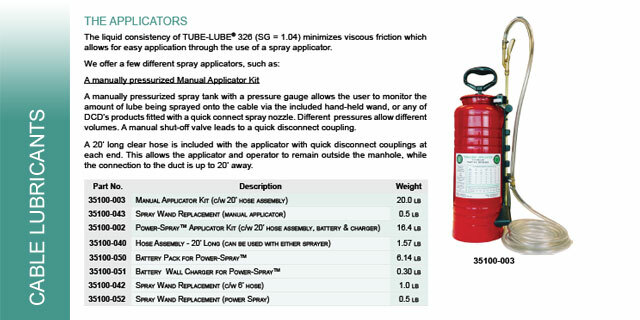 A manual shut-off valve leads to a quick disconnect coupling. 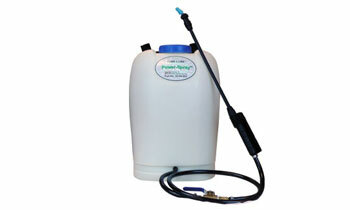 This unit holds a little over 4 gallons and can be carried on the operator's back. 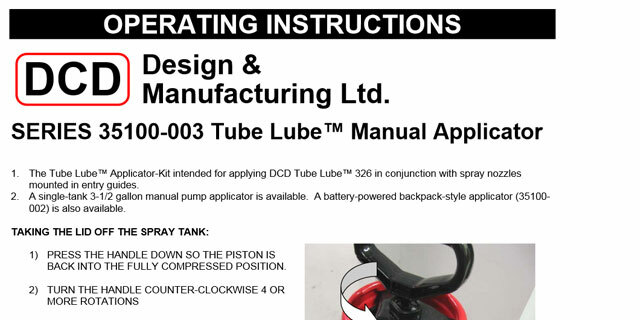 A 4-speed pump controls the volume of lube applied. 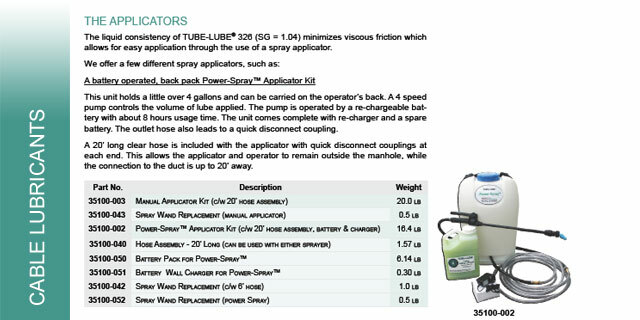 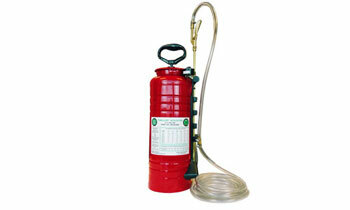 The pump is operated by a re-chargeable battery with about 8 hours usage time. 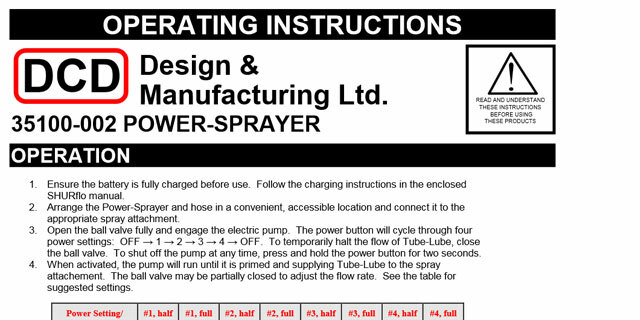 The outlet hose also leads to a quick disconnect coupling. 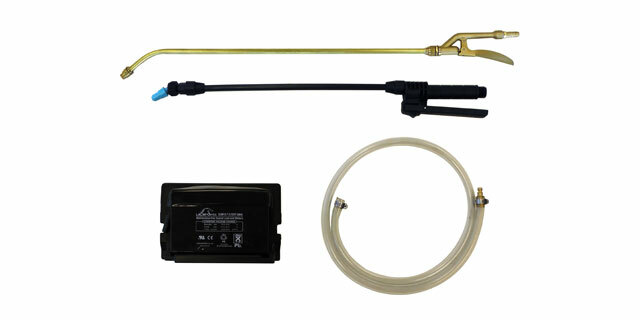 We have available several common replacement parts for both models of our Tube-Lube Applicators, including spray wands, replacement hoses, battery packs, and battery wall chargers. 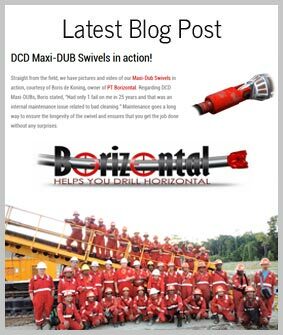 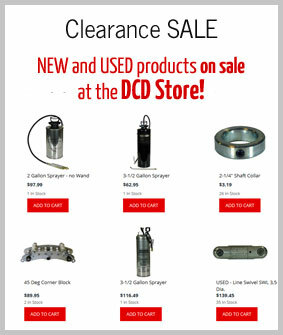 See our catalog page for more details.